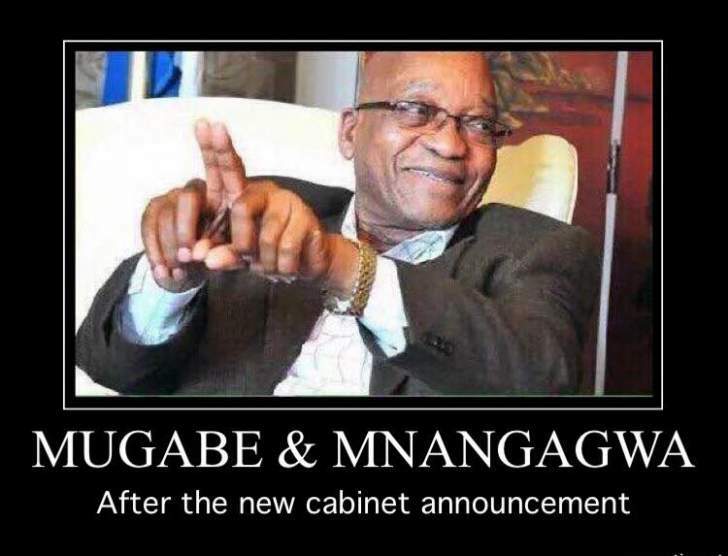 Following the euphoria after Robert Mugabe resignation, Zimbabweans had high hopes that change was afoot under the new president Emmerson Mnangagwa and were eagerly awaiting the announcement of his so call new cabinet. Zoe: "This military coup covered with involving us the public to make it like it isn't. "This was never about the country, it was a zanu pf nonsense to settle scores by using the military a state resource which should be neutral in politics. "The military chiefs being given ministerial positions? "We are so so so in trouble. "What a coup, I never wanted this gugurahundi leader in that position anywhere." J Govo says: As Zimbabwean people we have been longing for a change , not only a change but a great change , we were not expecting such a cabinet . a cabinet of old horses. Maybe we had high hopes for his excellence ED because of the problems we went through. In other words we are disappointed but of other opinion let's give the President a chance to prove himself. Wa Bhadiswana: Zimbabweans are an illustration of why high literacy rates simply means more people can read, write and count..... Not bright. GM Ndlovu says "Rubbish! A bunch old crooks and looters. The VP post has been deliberately not announced. Its for Chiwenga." Maphosa: A bunch of thieves regrouping to finish our resources to ground . V Thuthani Ndlovu says "I think this shows that Zimbabwe is an untransformed society in every way in terms of power resting in old men even though the youth make up to 80% and women making up 52% of the population. This is what has led to the downfall of the country and will keep it down." Mpala says "Attempting a miracle. Breathing life into prehistoric dodos is a proverbial pie in the sky for a starving nation. If it's a family thing some of them shd reliquishing their posts to their children who may b hitting legal retirement age. If we expect 21st century solutions to the comatose economy frm these dodos we either deluded or schizophrenic or both. "stale old wine in new bottles." This is nt a lean cabinet by a country mile. Do we need prov ministers?? We hv PAs thus "a duplication of duties". Dokora again shows some pple r either too old to hv chn or their grand children go to private schools on Mars." Vodloza: Nonsense cabinet, indeed it was a coup,believe it or not people were used and dumped. Mutero: "Hapana hapana.Same thieves back.no hope"
Bongani says "He has rewarded his fellow coupsters and squandered any chance of being a unifier or reformist." Viki says "Its a bunch of professional looters. They will continue with their loot though now protected by the army." Chamunorwa Matanhike - On paper the appointments seem like President Mnangagwa has surrounded himself with people who have failed to deliver in the past.People deserve second chances.This is the chance for some of these ministers to redeem themselves.Let us wait and see how they will perform. Stewart Mutekwa - I think we better give the cabinet a chance, but as for minister dokora he made a mistake because he is not wanted. Now that reality is slowly creeping in, as a parent I'm really heartbroken, feeling betrayed and realising that I like many Zimbabweans were given false hope by President ED and his military Junta. I was beginning to have a glimmer of hope of a new Zimbabwe especially for my kids' education but alas the bubble has been burst with a cabinet full of deadwood and now including army generals. As a parent my joy of having Dokora out of office when the cabinet was dissolved lasted overnight, the man has bounced back and is having the last laugh in the face of Parents and Teachers who wanted him out like yesterday. The man who has single-handedly undone all the gains that had been achieved after a meltdown of the education sector. The man who has presided over his ministry in an authoritarian manner and introduced an insane new curriculum which seems to have an agenda of indoctrinating our kids not to mention how overbearing it is!! As a parent clearly in my view ED is not really interested in change, it was about power and giving people false hope was a way of legitimising his rise to power through a military coup and increasingly becoming a great betrayal of the promises made on the 18th of November 2017. What's next for our children, the future continues to be bleak, teachers are further de-motivated with the return of Dokora, this spells doom. Lord in heaven how much more do we need to suffer as Zimbabweans when will the citizens of this nation have a say in who and how this country is governed, is it a crime to not have gone to the war, is it a crime to have been born after independence? when will all this insanity end. I'm writing this with a heavy heart and with fading hope. Mediocrity and incompetence continue to be rewarded and celebrated, failed Ministers, looters, murderers and perpetrators of atrocities in Zimbabwe continue to be elevated and enjoy the good of the country at the expense of everyone else. Where are we headed as a country?? Anyone out there with answers? The only thing that seemingly changes in Zimbabwe is age nothing more. 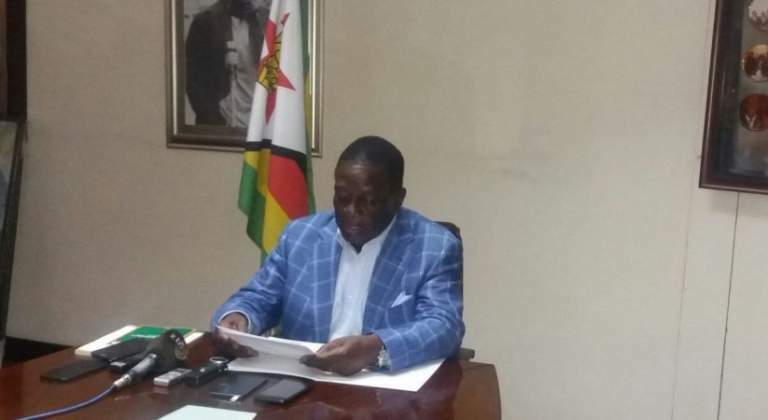 Dube: this was beyond recycling dead wood, the same old and very old thieves, and Dokora of all people, that guy never ceases to amaze me, he is a cat with 9 lives. This was the chance for ED to warm himself into the hearts of neutrals, he blew it out of the window to reward his frenz. Woza 2018!!!! "You cannot say there are areas of our economy which we are happy with..."
A listener on @capitalkfm says Mnangagwa's Cabinet is "a GNU between the army and ZanuPF"
Maduna: "Idakiwe le cabinet/yakadakwa/it is drunk.The snake has just removed its skin.Yintwinye same fanana.Just change everything maan President.They are thieves liars killers fana nje noyisu Mgabe." Phiri: "I would like to say thank you Mnangagwa for this cabinet. You almost had us fooled. To my fellow countrymen, let's all go and register to vote." "Ministry of finance ummmm ? - General Franko"
Mushonga: "Recycling the old dead wood"
Sindiso: "Same Church.Same Hymn Book.Same Congregation. Same Pastoral committee and Ruoe Books. Just, Just a Different Pastor." Makoni: "Analysis of change in Zimbabwe -Last updated on 30 November 2017 "As I said I will be doing analysis of whether there is change in Zimbabwe. Based on cabinet that has been announced so far I am so disappointed to say Zimbabwe has gone back to stage 2 out of 6 on the Wheel of change. Mind last time I had said we are on stage 3 with inuguration speech as it had a great vision for Zimbabwe. However, depending on performance of these ministers they can move ED Administration to stage 3 but I doubt as they failed before. " Ndlovu: "Its a change for good lets not complain we never had anything better"
Mkhaya: This is what I think. Sibanda: "Recycling the same faces who've failed us for the past 37 yrs." Bhebhe: "I am heartbroken...But to be honest I never had so much hope....Recycling those old men and women for what?"